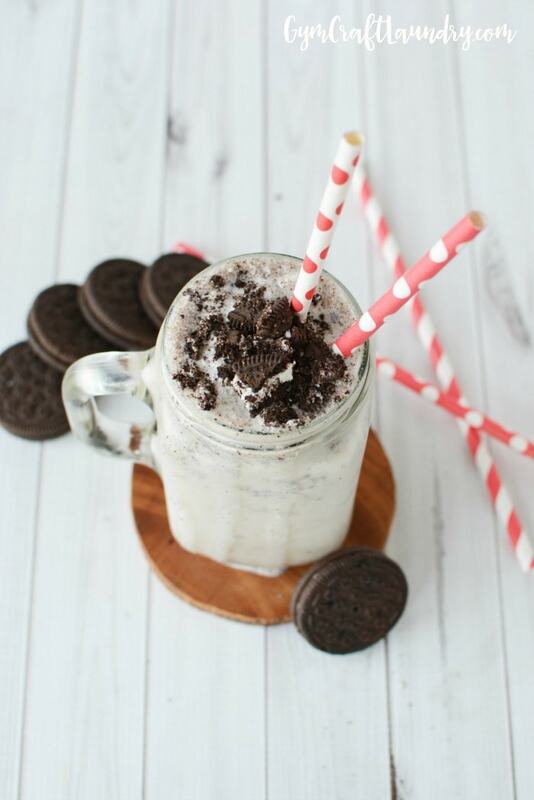 Do you love the creamy cool taste of milkshakes and miss them when you are low carbing it? I do too. Do you also love Oreos–with a fiery passion? I know. I am so weak. Speaking of weak…it has been a long time since I last lifted weights. I can’t even remember the last time I lifted. I did move some weights around in the garage today while I was cleaning it. Does that count? The interesting thing is that the number on the scale is substantially lower than it was when I lifted regularly. I can even fit into a pair of shorts that I haven’t been able to wear in forever. I am not sure how I feel about it though. I am happy that the shorts fits. But I also know that my absence from the squat racks means that I am much weaker than I have been in years. Thin or strong? 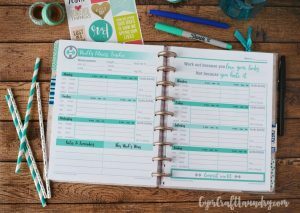 Have you see the Fitness Planner Inserts I use with my MAMBI Classic Happy Planner? It’s designed to motivate! 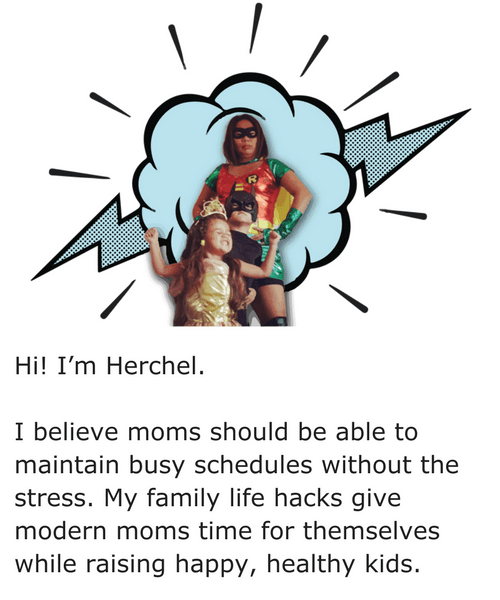 I am happy to be back at pre-pregnancy weight — especially since my youngest is 8 years old! However, I prefer strong. Being physically strong translates into mental and emotional strength. Much of my weight loss is due to simply not eating and I never advocate this as a weight loss plan. I am the type of person that gets focused on a project, whether a household project or a work project, and just don’t stop to eat or drink. It’s not healthy. Trust me. This behavior has led to kidney stones and I wouldn’t wish that on my worst enemy. This tasty treat is another way I am making sure I get calories in when I am busy. It’s so good! 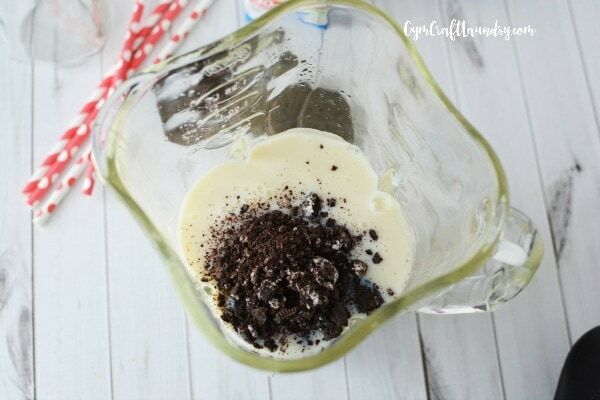 Place the ice, Premier Protein drink and all but 1 tablespoon of the crushed cookies into a blender. Blend until ice is crushed. Pour into a large glass and top with remaining cookies. This looks so good! I really need to try this stiff! Thanks for the giveaway! This looks delicious! 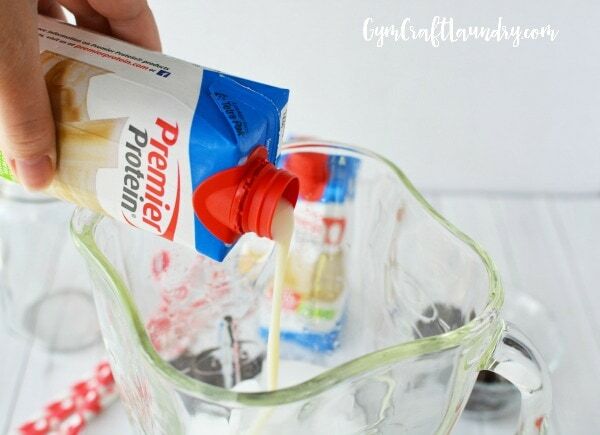 I have (for the most part) gotten my sugar cravings under control but this looks like a great little indulgence! I’ll have to check out Premeir Protein! Yummy.I just love creamy cool taste of milkshakes.